Look who plays ‘Wizard of Oz’ in new film Filmmaker Joel Gilbert has produced a new film, “There’s No Place Like Utopia,” scheduled for theatrical release this summer. “The film is similar in style to the highly successful Michael Moore films,” Gilbert told WND. 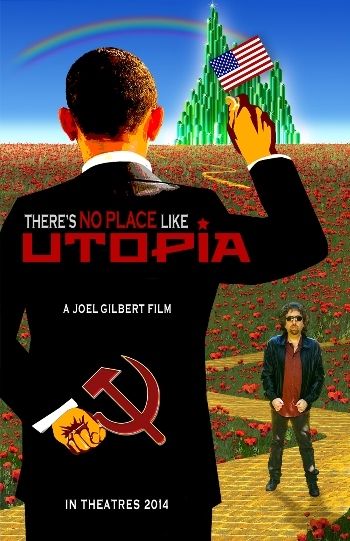 In the film, Gilbert depicts Barack Obama as the wizard in the classic “The Wizard of Oz.” Keying off Dorothy’s conclusion in “The Wizard of Oz” that there’s no place like home, Gilbert analyzes the literal meaning of “utopia” to argue, “There’s no place like utopia.” Gilbert explained, “Dorothy blindly follows the yellow brick road, believing a magical wizard will fulfill her dreams. In the end, the wizard is a charlatan, a mere carnival hawker. He sends Dorothy to the witch’s castle where she is taken prisoner in the dungeon,” he said. New Oz Film in the Works I’m so excited to share that Yellow Brick Road, a screenplay that I’ve been developing for more than two years now, is finally on its way to the big screen! 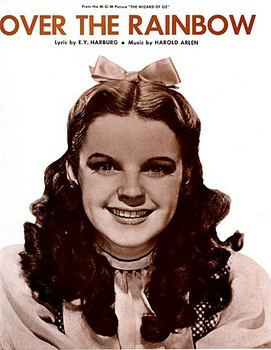 It will be a traditionally-animated musical that tells the story of the grown-up Dorothy Gale and the former Wizard, Oscar Diggs, teaming up to defeat a new evil in Oz. 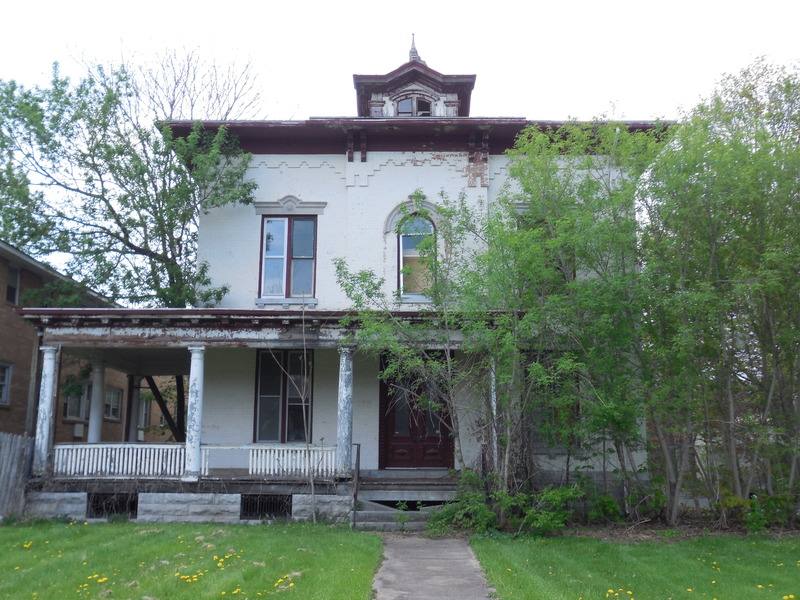 Wizard of Oz fans hope to restore Syracuse house connected to L. Frank Baum The grand Italianate house, built in 1867, was the home of Baum’s sister, Harriet Baum Neal, and her husband, William Neal, a partner in the firm of Neal and Hyde, a dry goods firm downtown. (The Neal and Hyde building still stands at 318-322 S. Clinton St.) Cynthia Stanton Baum, the mother of L. Frank Baum, died at 678 W. Onondaga St. in 1905. Just How Terrible is Legends of Oz: Dorothy’s Return? The Critics Sound Off If you’re worth your salt in movie knowledge and critique, then you could probably tell that “Legends of Oz: Dorothy’s Return” was going to be rough just from the commercials. But just how terrible is it? Well, according to the critics, it’s about as bad as you can imagine a 3D-animated “sequel” to the original 1939 live action film could be. Legends of Oz: Dorothy’s Return Review Legends of Oz is so outdated it features Dan Aykroyd, Kelsey Grammer and Jim Belushi as the voices of the Scarecrow, Tin Man and Cowardly Lion, with Martin Short pulling double duty as the villain in Oz and back in Kansas. With that voice cast, one knows they’re not in Pixar or DreamWorks anymore. If in need of an Oz-quel, stick with Walter Murch’s darkly fascinating 1985 update. Syracuse Land Bank Could be Key to Saving House Where “Oz” Creator Met His Future Wife The abandoned, boarded-up Syracuse house where Wizard of Oz author L. Frank Baum first met his future wife might finally have a brighter future via the land bank. Syracuse common councilors Monday approved the sale of the tax delinquent house at 678 W. Onondaga Street to the land bank, which then could choose to sell it to the Baum Foundation. The house has been behind on taxes since 2006, and has sat vacant for 15 years. DiScenna says the house is in generally good shape considering its age. She says it would cost around $150,000 to just fix it up, and more to renovate it. But she says contractors and others have committed to donating supplies, equipment, and time to the project. Loads of “Oz”-related projects have followed “Wizard’s” road You can’t swing a cat without hitting a flying monkey – on screens small and big and on stage. ABC’s “Once Upon a Time” just finished its third season, much of it devoted to the green-tinted exploits of the Wicked Witch (Rebecca Mader); “Legends of Oz: Dorothy’s Return,” an animated, musical film sequel to “Wizard of Oz,” opened this past weekend; on May 28, the national tour of the Oz origin-story musical “Wicked” makes a triumphant return to Sacramento’s Community Center Theater after a sold-out run in 2012. There’s little legendary about this trip to ‘Oz’ “Legends of Oz: Dorothy’s Return” is a harmless but almost charmless adaptation of a book by L. Frank Baum’s grandson. It’s a derivative hash of grandpa’s story, set in the present day, given forgettable new tunes by pop songsmiths such as Bryan Adams that are sung by the likes of Lea Michele, Martin Short, Hugh Dancy and the operatic Megan Hilty of TV’s “Smash.” And it’s in 3-D, of course. Lea Michele Opens Up About ‘Legends of Oz’ I think that from watching The Wizard of Oz so much growing up getting to have the privilege to be involved with Legends of Oz and play Dorothy was really such a childhood dream come true for me. So there was no way I was going to say no. Growing up, I really loved The Little Mermaid and Beauty & the Beast. So you know, I had such great animated films as a little girl that were for me were these Disney princesses I just loved. ‘Legends of Oz: Dorothy’s Return’ is For Kids Only The so-called “legend of Oz” will cease to be legendary if they keep producing lame re-engineerings of the 1939 classic “The Wonderful Wizard of Oz.” Close on the heels of last year’s dud, “Oz the Great and Powerful,” comes the dully rendered “Legends of Oz: Dorothy’s Return.” It’s one thing to have rights to the Oz franchise, and another to pay proper homage to it by using it creatively. This is a cynical animated effort designed for easy marketing and quick box office, and a hopeful sequel if the first one takes off. Take heed to pay no attention to the bean counters behind the curtain. Rotten Tomatoes Review: Legends of Oz: Dorothy’s Return A whole new motley crew joining Dorothy on the yellow brick road once again runs into various dangers and obstacles along the way. 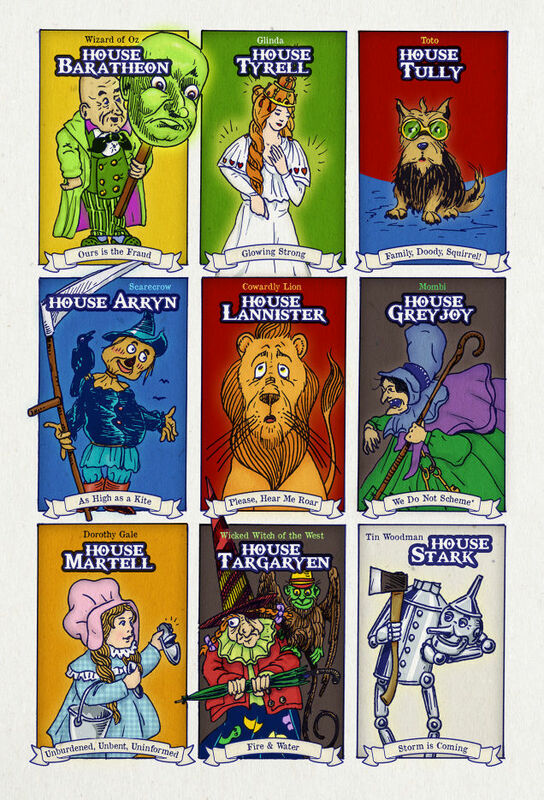 One of these supporting character “dies,” sorta, which upset my 4 ½-year-old son, briefly. Truthfully, though? You should show your kids the original Wizard of Oz instead of this shrill, ugly mess. 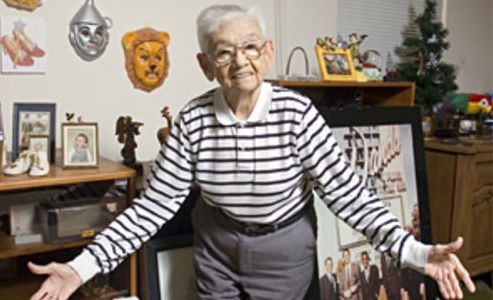 Great-grandson of ‘Oz’ creator returns Dorothy to Oz Baum enjoyed being involved in “Legends of Oz: Dorothy’s Return.” He wrote the screenplay and supervised the animation and final production. “I predict it’s going to be one of the top five movies of the year,” he said. “With millions of Oz fans throughout the world, far more than Harry Potter, I bet people are going to come out to see this one.” When asked about “Oz: The Great and Powerful,” a Disney film that came out in 2013, Baum admitted something surprising. “I’m kind of embarrassed to admit this, but we never saw that film,” Baum said. ‘We didn’t avoid the film, just never got around to seeing it. Ionia Gets Ready for First ‘Wizard of Oz’ Festival” The Ionia Theater, built in 1931 is host to the first annual Wizard of Oz Festival, adding a nostalgic touch on the film experience. “It was a great time to be building theaters throughout the United States. This is the original. It’s the art deco style and as you saw when you came in, it’s very original, very preserved and we work daily to make sure that we keep it in this type of prestige condition,” said Curtis. The best part is the price. Admission to the film is just 25 cents, the same price it was back in 1939 when the movie opened. “We are reaching out everybody across Michigan and the Great Lakes to come and visit Ionia. Once they’ve been here, they’ll remember us and it will be a place that they want to come back to,” said Curtis. The actual events take place on June 20th and June 21st in downtown Ionia. The 4 Best Adaptations of ‘The Wonderful Wizard of Oz’ Though fans may not be happy with the quality or quantity of Oz adaptations, the influx is indicative of a persisting love inspired by Baum’s classic tale. Since the book was released over a century ago — it was first published in May of 1900 — the beloved story has spawned numerous sequels, been adapted to film, television, and the stage many times, as well as inspired multiple retellings in literature. Throughout the past 114 years of Oz history, there have been many iconic works based on Baum’s original book, and his stories are set to hit the big screen yet again in the limited release of Legends of Oz: Dorothy’s Return on May 9. In honor of all the Wicked Witches in popular culture at the moment — Once Upon A Time’s season finale airs on Sunday — it seemed appropriate to talk about the best adaptations from Baum’s original book, The Wonderful Wizard of Oz. Review: ‘Legends of Oz: Dorothy’s Return’ lacks brains, heart, nerve “Over the Rainbow” has been supplanted by some throwaway number about teamwork courtesy of Bryan Adams. Whatever the shortcomings inherent in “Dorothy of Oz,” they are only exacerbated here by sweatshop animation, cringeworthy ditties and a DreamWorks-influenced wisecracking screenplay by Adam Balsam and Randi Barnes that undermines the story at almost every turn. In the original “Oz,” Scarecrow, Tin Man and Lion yearned for a brain, a heart and the nerve. But in this “Legends of Oz,” based on a book by Baum’s great grandson, Roger S. Baum, Dorothy’s pals have no such lofty desires. The same can be said about the film itself. If it only had a brain, a heart and the nerve. L. Frank Baum’s grandson gets his own ‘Oz’ movie A friend suggested during a dinner party that Roger Baum – the great-grandson of “Wizard of Oz” creator L. Frank Baum – should write a book based on the characters who live in the Land of Oz. “My initial reaction was a presumption that I could do it. Then I began to wonder if I could really do it. There are millions of Oz fans worldwide. My great-granddad’s books have been translated into 72 different languages. I didn’t want to insult my great-granddad, but I think it worked out OK,” the 75-year-old Baum says.